Long considered an innovative source of pharmaceutical packaging for the Asian region as well as for international distribution, Bona has released a new snap-on dispenser designed for nasal spray applications. The new pump makes it easy for companies to integrate into existing lines and offers efficient, metred dispensing of pharmaceutical products. The snap-on closure fits with a number of bottles, available in a variety of sizes direct from Bona, though the dispensers can also be used with a company's own existing bottles. The snap-on closure is completely secure when closed and keeps liquid medicine contained for the specified shelf life until the time of opening. It keeps the medicine secure from undesired premature opening, as required by regulation for prescription drugs and over-the-counter medications. The materials used on this snap-on nasal spray pump comply with regulations defined by all major international standards, including those related to FDA, EU 10/2011, USP, and EP standards. The most popular size of the pumps are the 20mm size, but are also available in custom sizes in order to meet client requests. 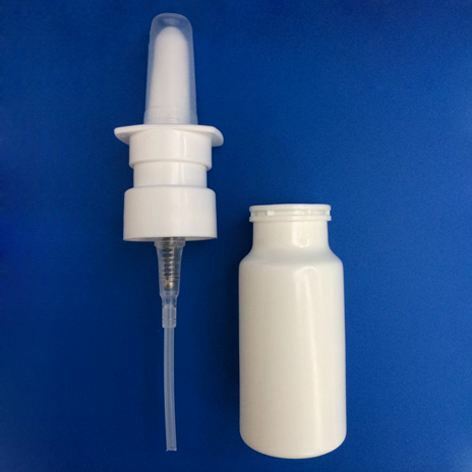 This snap-on nasal spray pump is designed to dispense 50μl to 220μl per stroke, perfect for potent medical formulae that require limited dosing. Since its foundation in 1995, Bona has been a leading expert in the field of developing and manufacturing primary packaging materials, with products ranging from high-quality nasal/oral/topical spray pumps to plastic containers for solid, semi-solid, ointment, gel, and liquid medicine for pharmaceutical companies globally. Bona is universally considered to be an honourable and reliable partner providing high-quality packaging solutions.